This is a quick tutorial on compiling a device driver / kernel module for Android. For the purpose of the tutorial, I'll be using a wireless driver (mt7601u) and android-x86 as an example. But the steps should work with the standard/arm version as well. Just make sure to use the correct compiler/gnu tool chain. 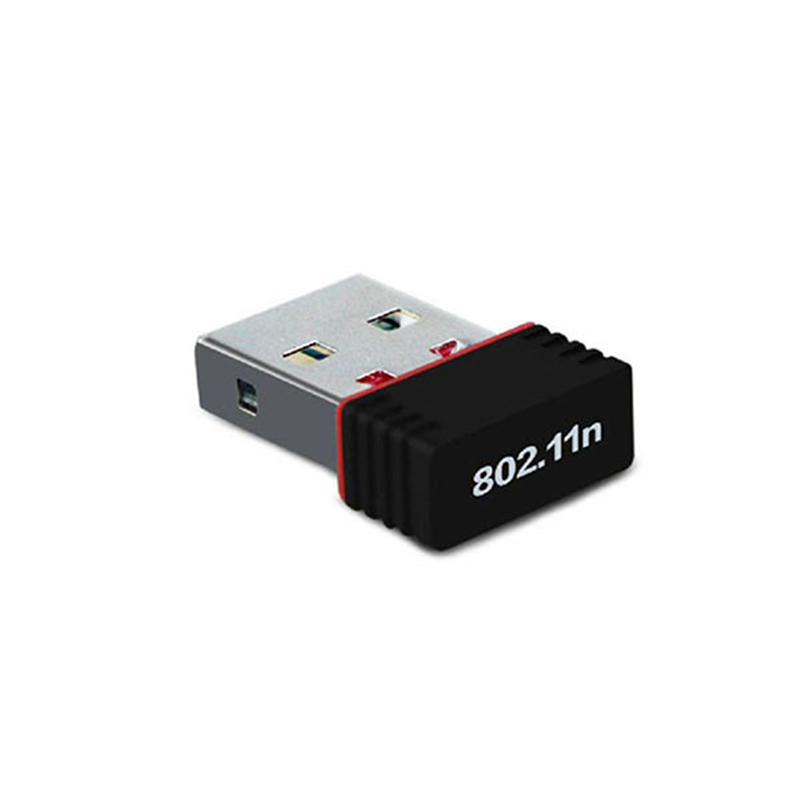 I had a USB wifi adapter like the one below which was mediatek's mt7601u based. Googling around I found that the support for this is present from version 4.2+ (Reference: MediaTek MT7601 USB WIFI on the Raspberry Pi ). I also found multiple drivers for the same like, https://github.com/imZack/mt7601 and https://github.com/kuba-moo/mt7601u . Since the kernel that I was using was 4.0.x, the later worked. We'll be using that going forward. Then insert the usb dongle to check if the wifi is working. You can now use userdata.img to flash with fastboot and other flashers/installers. in the build.prop file by editing it via fastboot, root, or helper apps. Both these have limitations, the first method may not work on all platforms and the second method doesn't work in newer android verified boot (verity). Given that the first method is preferable, because of its 'setting' kind of behavior and doesn't touch unnecessary system files. I am writing about a method of directly modifying the settings database to achieve the same result. There are many such android settings that can be edited / modified similarly. In any case, wm and similar tools help with editing the settings. Insert / Update the dpi in settings - for this we'll use sqlite3. 'global' is the table that we are interested there, since this is part of the global settings in android. Push the file to the same location where we picked it from and we are done. I normally have multiple operating systems on my machine. I thought I'd remove my old Ubuntu installation and use the partitions for other purposes. I knew I'd have GRUB issues, but thought it'd be relatively easy to find how to make a bootable USB pendrive. But, I was wrong! Seems like most installers use syslinux based boot loaders and grub kicks in later. So, getting hold off one wasn't easy. After searching and reading, I found some useful information (I'm missing exact links though :( ). But here's the brief steps to get a plain grub bootable device. Assuming /dev/sdb1 is your usb (FAT32 or otherwise) device - BE CAREFUL TO PICK THE RIGHT DEVICE! It should be a bootable device now and should give the grub boot prompt...you can use that to boot Windows e.g. This year's LibreOffice conference was at Aarhus, a growing beautiful city. I presented around the ongoing work (specifically in Impress) and at Ericsson (EGI). Yes, my travel this year to the conference was sponsored by TDF. 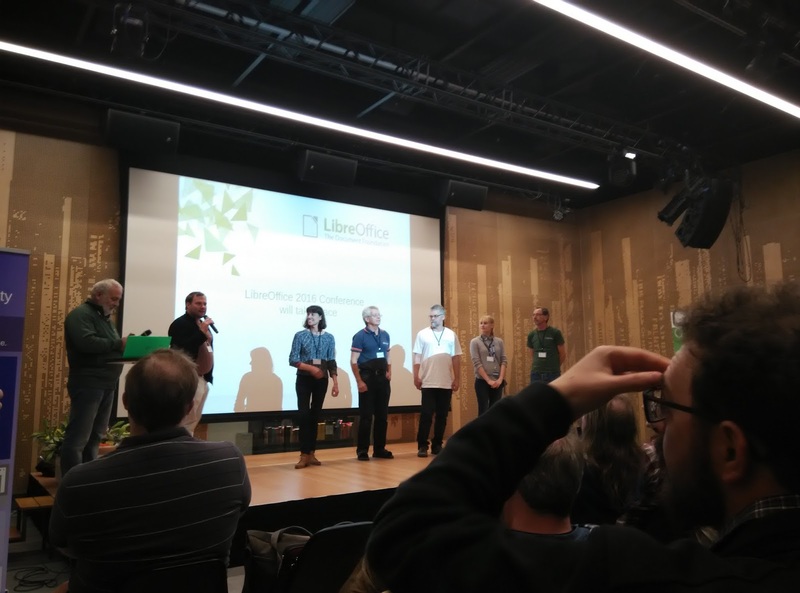 A lot of interesting developers, translators, QA and other contributors to LibreOffice project made it to this year's conference (Credits to Sophie & TDF for making the additional efforts). This was something nicer. Of course, I was able to network with the new people as well as my friends from the project. There were some interesting presentations around LibreOffice in the cloud and Android - seemed like most were from Collabora. Missed the PyUNO talk :( just heard the last part, it was supposedly quite good - so waiting for the videos to watch it. Of course, the talks by RedHat, CIB and the others were really good as well. 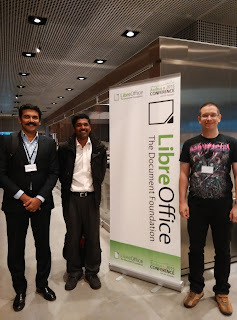 Other than the development talks, I enjoyed some talks about efforts around LibreOffice for government and migrations. And the celebrations around success at the LibreItalia (specifically around LibreOffice for the army in Italy) was really nice to know. I also enjoyed talks about language translations and support for LibreOffice. Though I couldn't attend many of these (because the simultaneous tracks), I'm hoping to catch these up from the video recordings. Some pictures for your enjoyment. While googling around for the solutions - it seemed like there is some problem with the sqlite database of one of the telephony applications. 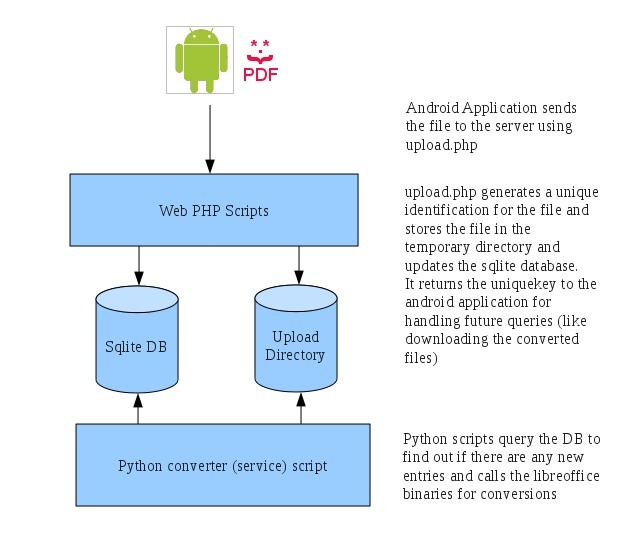 I wrote an android app and related server scripts for converting documents to pdf for viewing on the phone. The app can be downloaded here. I wrote this for a few reasons including experimenting with AdMob, so caution: the app is an adware. I have cleaned up the sources and uploaded it to google code. The app now queries the getfile.php to get the file or the queue number it is in. Conversion of pdfs into maybe images for directly viewing from the app rather than opening it with another pdf viewer.